Here’s what I did today. 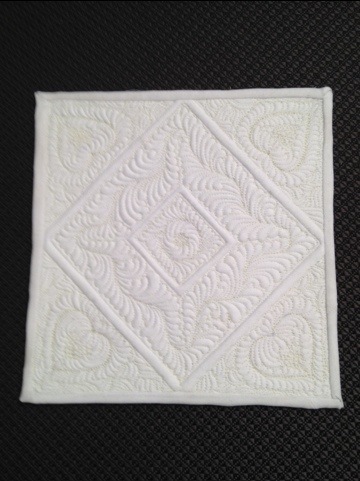 If you’ve read some of my previous posts, you know that I absolutely LOVE quilting feathers. 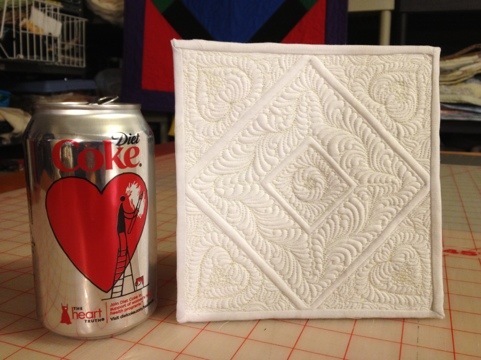 You may not think it’s all that cool, but I do…… I wasn’t sure how it was going to come out when I started quilting it. I think it took about an hour or so to quilt the whole thing. I did McTavishing behind the feathered hearts. Once again, I didn’t know how it would come out. I knew I didn’t want to rip any of the stitches out once I did them. I freehanded all of it. So I got what I got. As for the size of it……………. That’s it for now! Have a great day! These are really wonderful ideas in regarding blogging. You have touched some good things here.